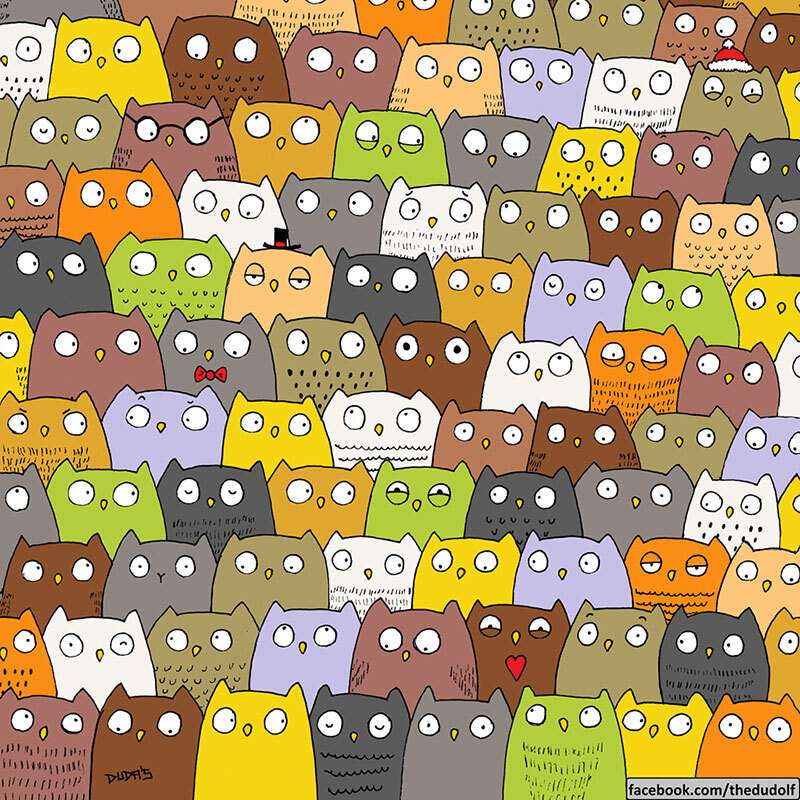 Hungarian illustrator Gergely Dudás, whose pen name is Dudolf, posted these drawings on his Facebook page challenging his readers to spot the panda among the snowmen or the cat among the owls. With the holiday season and everyone feeling festive, the Where's Waldo-style cartoons have swept social media and left thousands of people frustrated as they can't seem to find the animals. See if you can spot them. 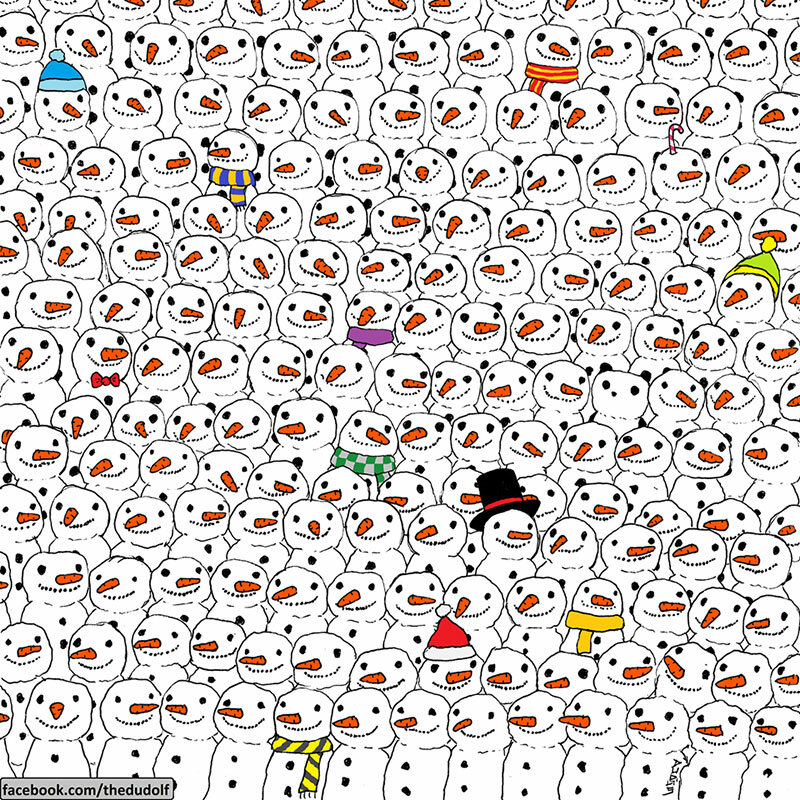 Hungarian illustrator Gergely Dudás, whose pen name is Dudolf, posted these drawings on his Facebook page challenging his readers to spot the panda among the snowmen or the cat among the owls.